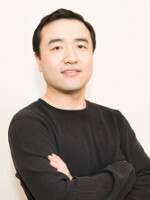 Dr. Fulai Jin has an interdisciplinary background. He got a B.S. degree of biology and a B.E. degree of computer sciences from University of Science and Technology of China (USTC). He then obtained a PhD degree in Molecular and Medical Pharmacology from University of California, Los Angeles (UCLA). In graduate school, Dr. Jin worked in the field of chemical biology performing screens for small molecules or drug target genes using various functional genomic approaches. He developed a smart-pooling method to improve the efficiency of such screening experiments. In the meantime, Dr. Jin also obtained formal training in biostatistics. After graduation, Dr. Jin did his postdoc training at Ludwig Institute for Cancer Research and switched to the field of genomics, epigenetics and transcription regulation. During his postdoc, Dr. Jin used Hi-C to generate the first high-resolution genome-wide map of DNA looping interactions in mammalian cell, which can reveal contacts between any two 5-10kb DNA segments. Such information of 3D genome architecture is critical for our understanding of gene regulation in human diseases. Dr. Jin joined the Genetics Department in 2015 as an assistant professor. Organization of mammalian genome is very complex. Recent advances of sequencing technologies have already allowed us to characterize genome and epigenome in one-dimensional space. For example, using antibodies against histone marks or protein factors, we can use ChIP-seq to map euchromatin, heterochromatin, as well as many types of cis-regulatory elements including promoters, enhancers, and insulators (see Figure). In the 3D space, mammalian genome is also folded and packed in a highly organized fashion. Besides the well know chromatin relaxation and compaction associated with "open" and "closed" chromatin, DNA also form long-range loops which allow contacts between various cis-regulatory elements. Understanding genome organization is very important for genetics study. For example, mutations at enhancers may alter the expression levels of target genes from hundreds of kilobases away, leading to human diseases. The Jin lab is interested in the genome-wide study of 3D genome architecture. The lab has both "wet" components and "dry" components. Research projects focus on several key challenges in this emerging field. (1) Developing experimental and computational tools for genome-wide identification of DNA looping interactions at high-resolution. (2) Understanding the genetic and epigenetic mechanisms that may governs genome architecture. (3) Understanding the impacts of genome architecture on cellular functions and human diseases. Single cell genomics is another major focus of my lab. We are using single cell RNA-seq and epigenomic tools to study the transcriptional regulation at single cell level in the context of human diseases, including diabetes, cancer, and neuronal diseases. Single-Cell Heterogeneity Analysis and CRISPR Screen Identify Key β-Cell-Specific Disease Genes. Chemical Screening Identifies Enhancers of Mutant Oligodendrocyte Survival and Unmasks a Distinct Pathological Phase in Pelizaeus-Merzbacher Disease. Easy Hi-C: A simple efficient protocol for 3D genome mapping in small cell populations. HiView: an integrative genome browser to leverage Hi-C results for the interpretation of GWAS variants. A hidden Markov random field-based Bayesian method for the detection of long-range chromosomal interactions in Hi-C data. Lysine 2-hydroxyisobutyrylation is a widely distributed active histone mark. CRISPR reveals a distal super-enhancer required for Sox2 expression in mouse embryonic stem cells. Combined gene expression and DNA occupancy profiling identifies potential therapeutic targets of t(8;21) AML. 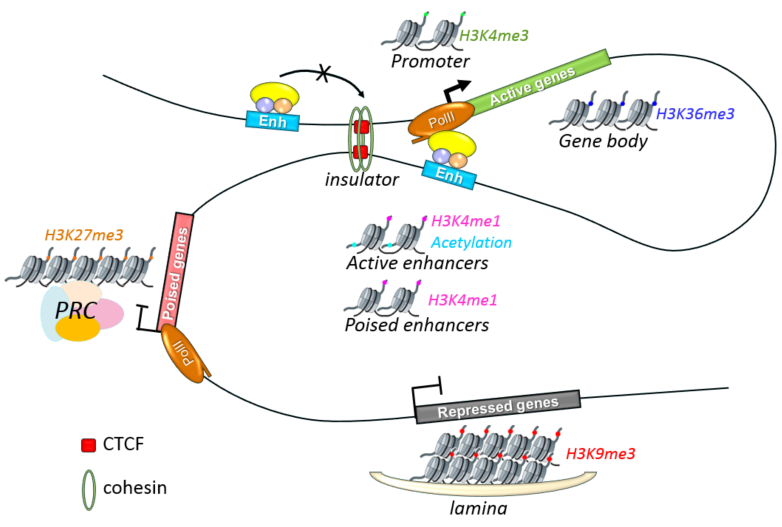 Identification of 67 histone marks and histone lysine crotonylation as a new type of histone modification. PU.1 and C/EBP(alpha) synergistically program distinct response to NF-kappaB activation through establishing monocyte specific enhancers. A yeast two-hybrid smart-pool-array system for protein-interaction mapping. A pooling-deconvolution strategy for biological network elucidation. Finding new components of the target of rapamycin (TOR) signaling network through chemical genetics and proteome chips.